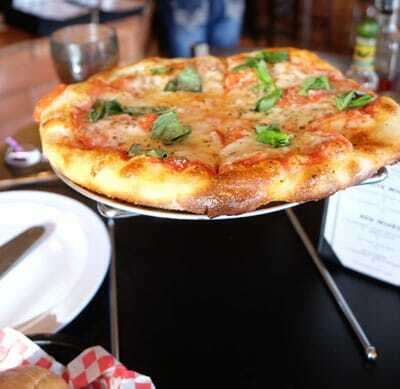 Located in historic Sedalia, PieZanos is reminiscent of an old-school pizzeria. It is the kind of establishment that evokes nostalgic feelings of a favorite pizza place where kids went for a slice after a movie, coaches grabbed a pie for a celebratory win (or a needed pick-me-up), and reunion-goers gathered to reflect back on high school. With more than 40 years of combined restaurant experience, co-owners Frankie Menna and John Johnson talked about opening a restaurant three years ago. Not much came of that conversation until Johnson stopped in Sedalia one day on his way to go fishing and noticed a “For Sale” sign. With a location found, Menna and Johnson’s dream became a reality, and they were on their way to getting a piece of the pie . . . the pizza pie that is. These longtime restaurateurs are no strangers to the kitchen. Menna has been a chef for 15 years and has worked in the Denver metro area. Johnson has 10 years experience as an executive chef in California and has worked for several national companies, opening more than 130 restaurants across the United States. Part of what fuels Menna and Johnson’s passion is making people happy through food. They believe that one of the things that sets PieZanos apart from other restaurants is their desire to take that passion and put it into their products. PieZanos sources only the best ingredients Menna and Johnson can find, and this may mean buying sausage from Rome’s Sausage in Denver, bread from Chicago, or tomatoes from Italy. One bite from anything on the PieZanos menu explains why it was worth it for Menna and Johnson to taste 25 types of mozzarella to find the absolute perfect texture and taste. Lunch at PieZanos was a mouth-watering experience. The simple margherita pizza was anything but ordinary with tomato slices, full, fresh basil leaves, the perfect balance of sauce and cheese, and a crust that was the right combination of chewy, airy and crispy. 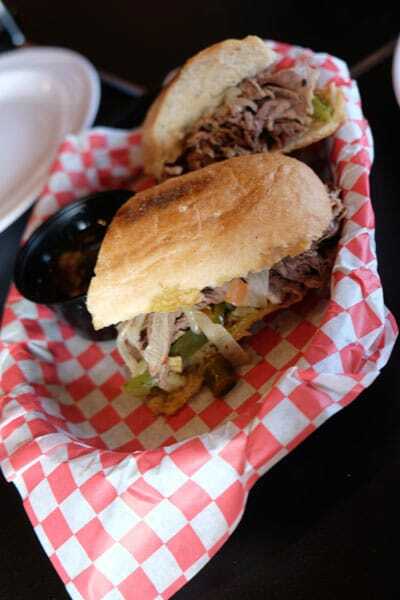 The Italian beef sandwich was bursting with beef, green peppers, onions and giardiniera and had a bit of a kick (in the best sense). PieZanos offers traditional pizza, as well as artisan varieties. Menna and Johnson believe the possibilities are endless when it comes to making pizza, so they experiment and have fun. Every month, PieZanos offers a featured pizza, and while the January selection had not been created as of press time, the description of December’s Rudolph’s Holiday Ham Pie with honey smoked ham, Swiss cheese, pineapple, and caramelized onion on a Neapolitan crust with a thin layer of dough on top and served with a side of sweet horseradish aioli should be enough to propel readers to visit their website for menu information. In addition to Neapolitan and Sicilian pizza by the pie or slice, PieZanos offers salads, sandwiches, breakfast and lunch/dinner calzones, soda, beer and wine. With several flavors of gelato from Italy, such as bacio and sea salted caramel, and a homemade triple chocolate brownie, Menna and Johnson do not believe in customers leaving with empty stomachs. PieZanos has a cozy indoor dining space, as well as an outdoor porch. With an open kitchen, the casual atmosphere and friendly staff make customers feel at home, and that is just what Menna and Johnson want. “We want everyone to feel like they are part of the PieZanos family,” said Menna. 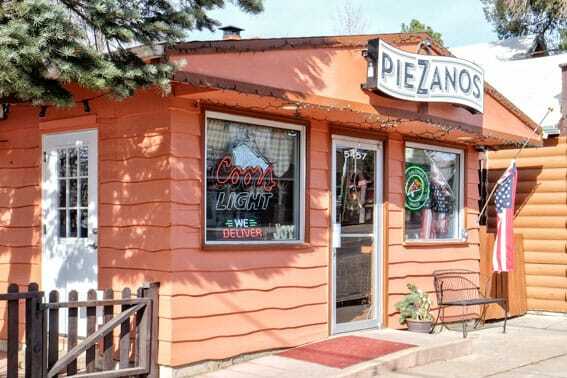 In fact, Menna and Johnson chose the name PieZanos, as a fun play on the word “paisano,” which is what a friend from your home town in Italy is called. Whether a place for a casual celebration or just a delicious meal is needed, PieZanos is ready to provide a memorable experience . . . and a box for leftovers! Mon – Sat: 7 a.m. – 9 p.m.
Sun: 7 a.m. – 8 p.m.